Like London Film Festival every October, Edinburgh International Film Festival (EIFF) previews a number of movies each June whose theatrical distributions are already confirmed. Since the two programmes never overlap, attendees of both festivals can catch a reasonable number of films every year prior to their actual release, normally in the form of a UK-premiere in the case of ‘buzz’ titles, and an international-premiere (a film’s first public screening outside its country of origin) in the case of smaller, more independent works. Sometimes, the festival screening will be a world-premiere (its first ever public showing). The size and budget of EIFF means it has to ‘matter’, and in order to matter, the vast majority of its films must be a premiere of some description. The 68th edition was no different: evidently, with such history comes a palpable sense of entitlement. A more positive word might be ambition. Never too far away from this phenomenon is the celebrity fetish, where EIFF rolls out its red carpet to welcome stars such as Stephen Graham and Noel Clarke. For the vast majority of these momentous occasions, the carpet in question is rolled out in front of the only festival venue whose entrance and auditoriums are spacious enough to host a premiere: the dispiritingly anonymous Cineworld, sandwiched between a Nando’s and a Pizza Hut in the hideously grim Fountain Park entertainment complex. At least they’re trying. And with only 11 world-premieres and eight international-premieres among its line-up, Edinburgh has so far been sensible enough not to shoot above its station by introducing a blanket fee for all press delegates—an inclusion policy that London brazenly abandoned last year, obviously hitting some freelancers harder than others, even though it draws virtually no international buzz, the vast majority of its programme having already been consumed by industry folks in more exotic locales like Cannes, Locarno and Venice. Speaking of which, Edinburgh’s biggest programming disadvantage might be its timing. Fulfilling a quota of premieres while drawing in enough ‘talent’ to justify budget and prestige is a tough balance to achieve, and taking place in June means that EIFF is limited to scouting for its ‘buzz’ titles from dependably voluminous but notoriously unpredictable festivals like Rotterdam (in January) and Berlin (February). One or two titles make it through from Venice (September), but in truth London Film Festival gets first dibs on the latter as well as on Cannes (April) and Locarno (August). The result, for EIFF, is a festival whose aspiration to more serious, less commercial cinephilia is seemingly determined by its elective place in the festival calendar. The bigger problem is that while more films are being made today thanks to the so-called very welcome 'democratisation' of technology (or rather, cameras are a lot more affordable now), they lack a genuinely radical edge thanks to the very unwelcome process of de-politicisation that artists have undergone in the last three decades. Indeed, EIFF is full of experimental films whose experimentation is ineffectual at best and disingenuous at worst. The extent of any art’s radicalism is surely measured by its cultural standing, by how effectively it can pose challenging content within a marketable and popular form. We should never dismiss commercial cinema. Snowpiercer, the first English-language movie by South Korean filmmaker Bong Joon-ho, for example, is an action-packed sci-fi film with a message. In it, global warming brings the last of humanity together on an ever-moving train, divided by a nightmarish dictatorship into a strictly upheld social hierarchy—until the wretched poor in the tail sections decide to rebel and proceed to the off-limits carriages ahead. It’s as fiercely and overtly political as mainstream films come, and its UK-premiere at EIFF will hopefully be followed by theatrical distribution sooner rather than later. 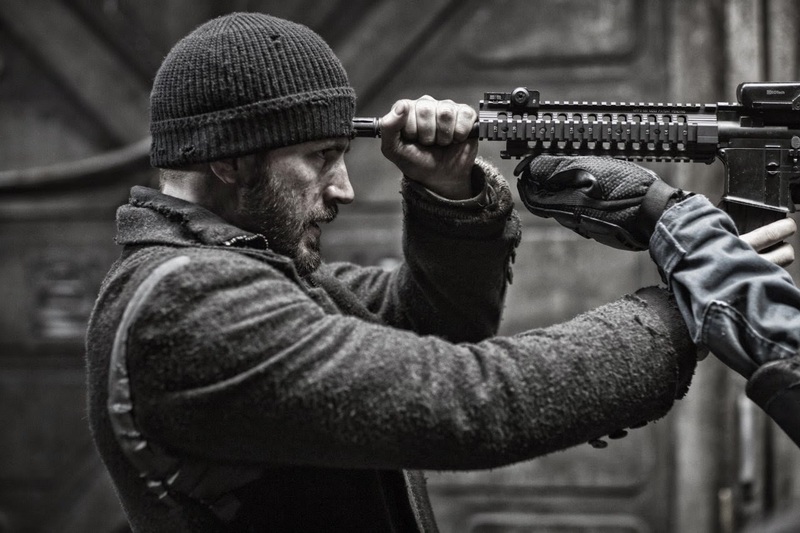 Though set in the future, Snowpiercer’s choice of setting provides a relatable picture to Britain’s embattled masses. While watching it, I couldn’t help but think of our increasingly and criminally privatised transport sector, and of the tiered system still in force on trains all over the country. And not just on trains: while ‘first’ and ‘second class’ are still the terms used on Britain’s locomotives, ‘business’ and ‘economy’, as favoured by our airlines, is merely semantic deceit. The most daring inclusion this year was the work of John McGrath (1935-2002), the Birkenhead-born playwright and filmmaker to whom EIFF—to its credit—dedicated a very timely retrospective. The writer and director of the first and very last Z Cars episodes was one of Britain’s most relentless, inexhaustible artistic figures of the second half of last century, espousing an unfalteringly exciting anti-capitalist agenda in his work. Included in the retrospective at EIFF were his incendiary and quite staggering filmed-theatre productions: The Cheviot, the Stag and the Black, Black Oil (1974), which traces Scotland’s history from the Highland clearances to the economic displacement suffered at the hands of US tycoons so quick to monopolise the North Sea’s oilfields; Border Warfare (1989), an epic and persuasive look at Scotland’s political and economic oppression under England’s ruling classes; and John Brown’s Body (1990), which details the development of Scotland’s proletariat. In each case, McGrath’s argument for Scottish independence has an internationalist perspective. As his films demonstrate with clarity, verve and humour, the working classes of any oppressed country always have more in common with those of the oppressor than they do their own rulers. Consequently, Scottish independence is not just about national identity. It’s about holding two fingers up to the drearily odious corridors of Westminster while encouraging similar measures from the underpaid and under-served masses of London itself. An edited version of this article was printed in the 11 July issue of Tribune. See an index to all other EIFF coverage here.